7 Kids and Us: SnackPals by Wow Gear + Giveaway! 2 Winners! Kids are messy. They can't help it. They don't have the coordination adults have. I remember when my kids were little, and they would spill on the floor and the horrified look of others in the store, or at a restaurant or the park..and I would just be thinking "why are others so upset". I get it, the employee thinks I am going to make them clean the mess or I am going to yell at my child for spilling...no I help clean the mess, and I give my kids another serving, no need to get upset about it! 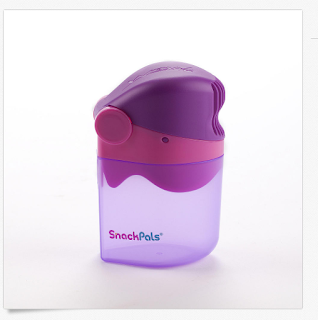 But, what if there were a better way, a way that kids could have more confidence in not spilling. Even if as parents we don't get upset when our toddlers spill, I can see where the child would be upset, losing half their snack. I was offered the chance to try the SnackPals by Wow Gear, and I am so excited to tell you about it. 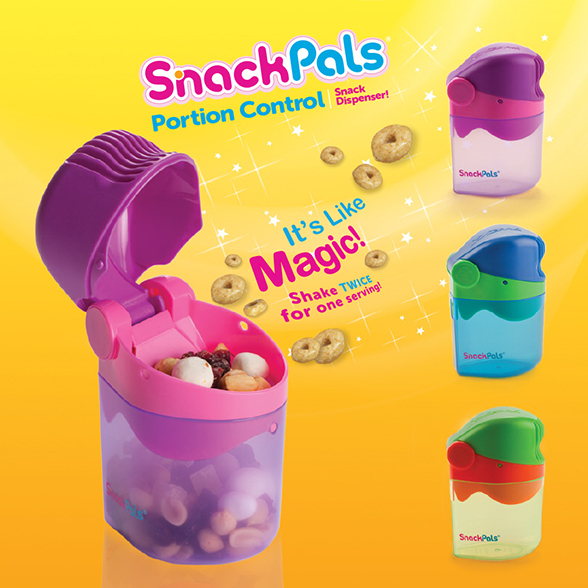 I like my SnackPals so much, I wanted to let 2 of my readers try it out too! Enter to win below, and good luck!